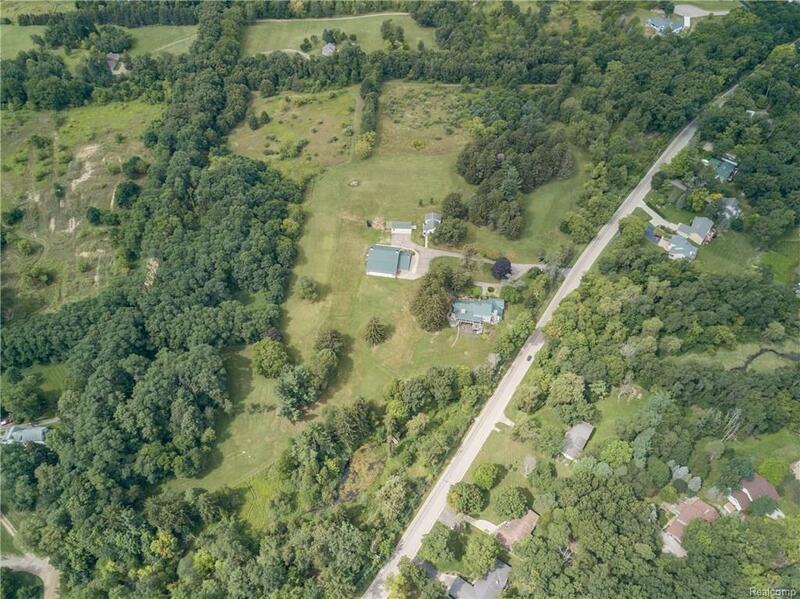 Truly one of a kind opportunity to own 34 acres close to beautiful downtown Fenton. 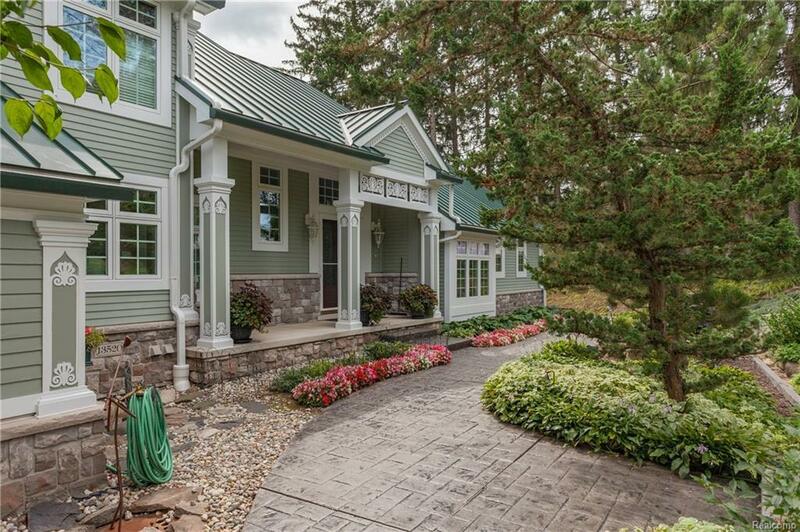 The main house stands at nearly 7,000 square feet with an additional 4,300 walk out basement. 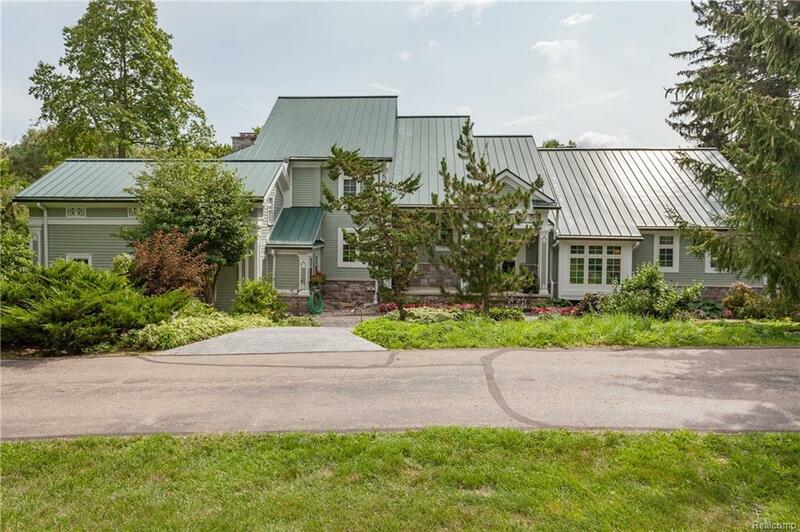 When you walk through the front doors of this stunning home, you are greeted by a one of a kind wood trimmed bar area off the family room with unspoiled views of the private property. The open floor plan is prime for entertaining friends and family. 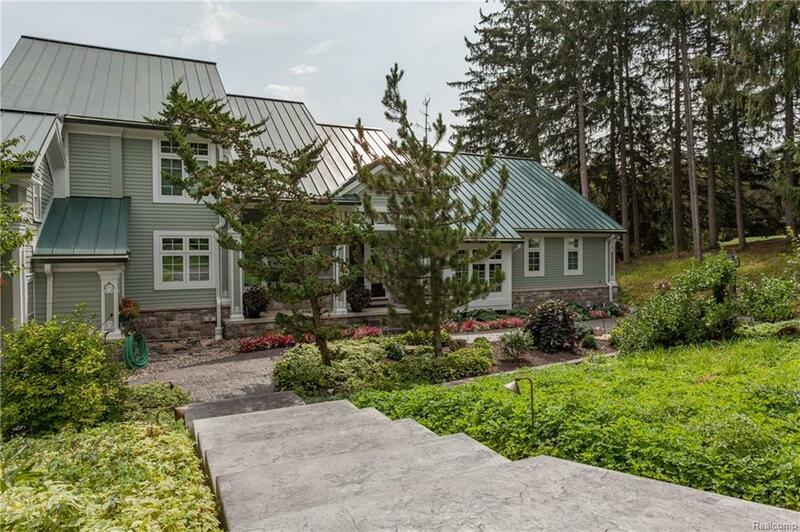 The property features a second home with its own mailing address perfect for guests or your in-laws. The shop offers any car enthusiast the rare opportunity to keep their collection close to home with over 5,000 square feet of storage space. The property has splits available. Do not miss this rare opportunity to own a historic piece of Fenton.